When you think of garden compost making - what comes to mind? Warm sunny days spent planting a vegetable garden... only to be spoilt by having to plunge your gardening fork into a smelly mass of slimey, rotting vegetable matter. Well, if that is your experience, you're just not making compost correctly. Vegetable gardening and compost making should be inseparable - like Laurel and Hardy or Morcombe and Wise - I added the second pair because they're more my era and I don't want you thinking I'm that old... get my drift! It is tidier to make your compost pile in a bin or compost container. You can make this yourself at little cost. 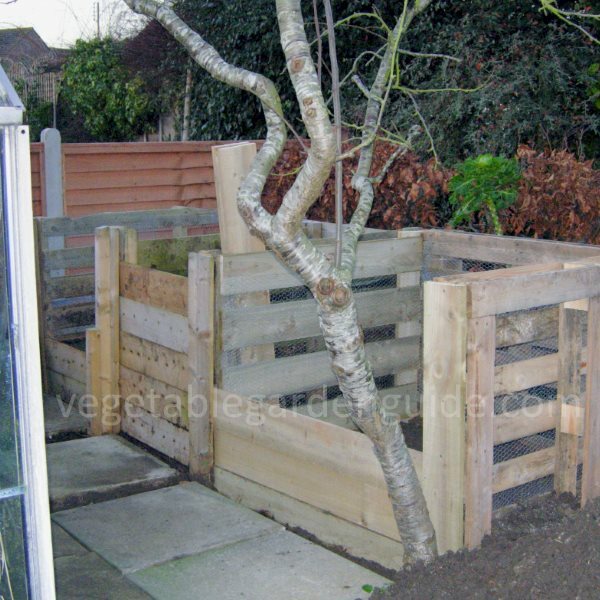 Some examples of a simply constructed home compost bin can be seen in the photos on the compost web pages. Alternatively, a number of commercially made compost bins are available. These include plastic and wooden assemblies and compost tumblers. Locate your compost bin in a sheltered, level area of the garden - where there is good drainage and access if it is possible. The site should be within reach of a garden hose, and preferably not in full sun. 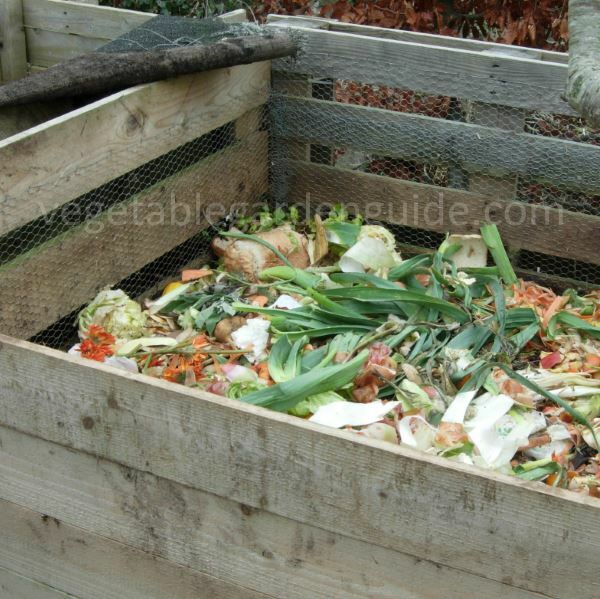 Sit the compost heap directly on the soil - yes! I have to say it - "and they will come"... the worms that is! Your compost can be used at any time of the year but for maximum impact it should be applied to the existing soil in the autumn or spring. You may read phrases like the following, "dig the compost into the top 50-100mm(2"-4") of the soil surface to improve soil texture, structure and fertility" - partly true. It will indeed improve the fertility but destroy the soil structure. In my 'umble opinion - experience has shown me that worms are the best incorporators of the compost. 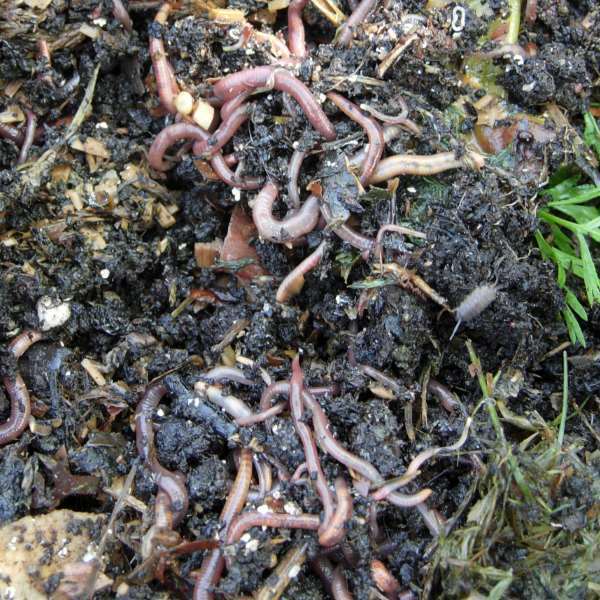 Just spread the contents of your compost pile over the surface and the worms will take it down into the soil thus developing the perfect texture, structure and fertility. Plus! - a 'spaghetti network' of channels that air and water can move along thus irrigating and aerating the soil and the best bed systems for doing all this are raised beds. If the compost is quite coarse you can sieve it through a home made wire mesh frame prior to use - but not really necessary. Any stalky or woody material, if it is too large, can be removed and recycled into the next heap. Throughout the rest of the growing season use your composted garden material as a mulch around your growing vegetables - they'll really appreciate the gesture. This will also encourage birds into your garden as they forage through the mulch looking for food - don't worry there's enough for everyone. These birds will also eat pests like aphids and other soil borne enemies of our vegetable planting ventures. How Do You Make Garden Compost? A general rule of thumb for those who want to begin - and you should - garden compost making is, if it rots put it in your garden compost container. There are some materials to avoid though and I'll come to those later. Just to drive home the point of the importance of making a compost pile, apart from the super nutritious vegetables you'll be harvesting. It cuts down quite dramatically the amount you throw out for rubbish collection and that has to be a good thing! Use a mixture of materials and the correct balance will be achieved - this will become clearer with experience.